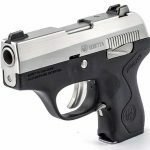 A rundown of 10 new and old concealed carry guns by Beretta, Ruger, Glock, Colt, Springfield Armory and more to back you up every single day. The Pico is the thinnest .380 ACP pistol available, making it very concealable. 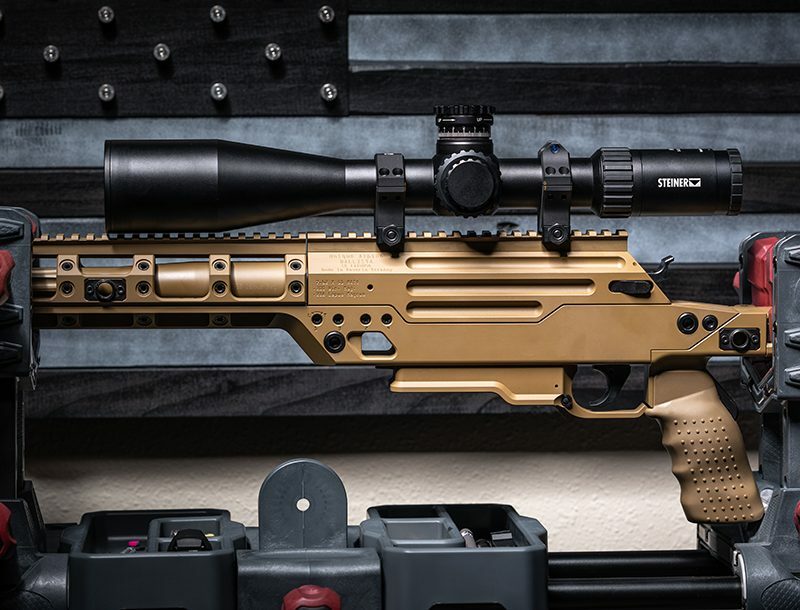 It also enjoys some distinct features like a quick-change polymer frame and barrel system that allows the user to customize colors and caliber choices. 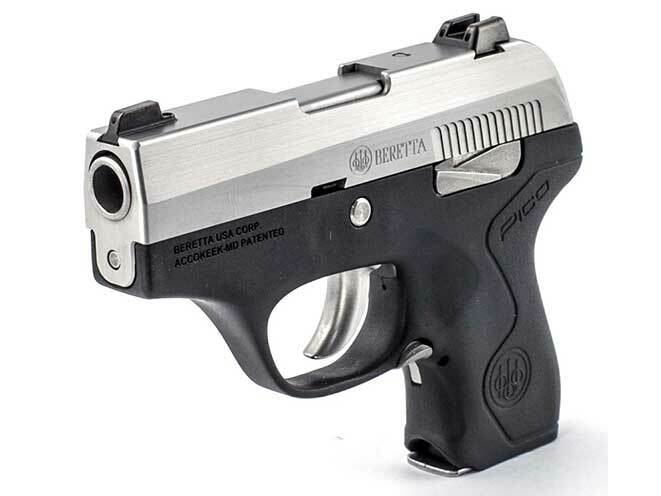 For being so small, it also has full-sized gun features like adjustable sights and a slide lock. This double-action-only pistol has a 6+1 capacity, a slide and barrel made of stainless steel for corrosion resistance, and it comes standard with a spare magazine and an ambidextrous magazine release. 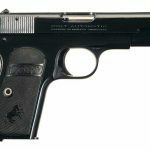 Pretty much anything John Browning put to paper has become a classic, and the Colt Model 1903 and Model 1908 Pocket Hammerless are certainly no exception. Despite the name, these pistols do have hammers—they’re just internal, leaving the guns’ profile clean and snag-free. Available from 1903 in .32 ACP (shown) and 1908 in .380 ACP until about 1945, these single-action pistols have grip and thumb safeties and use single-stack magazines. The Models 1903 and 1908 were extremely thin and popular as concealed-carry pistols with both Prohibition-era gangsters and law enforcement. Kel-Tec has a earned reputation for innovation that is unrivaled in the gun industry, and the economically priced P-3AT certainly backs up that reputation. 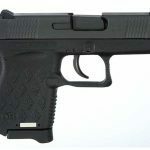 Arguably the first of its kind—a truly minuscule locked-breech, hammer-fired, polymer-framed, double-action-only pistol chambered in .380 ACP with a 6+1 capacity—the P-3AT remains the lightest semi-automatic .380 ACP pistol on the market more than a decade after its introduction to the world. 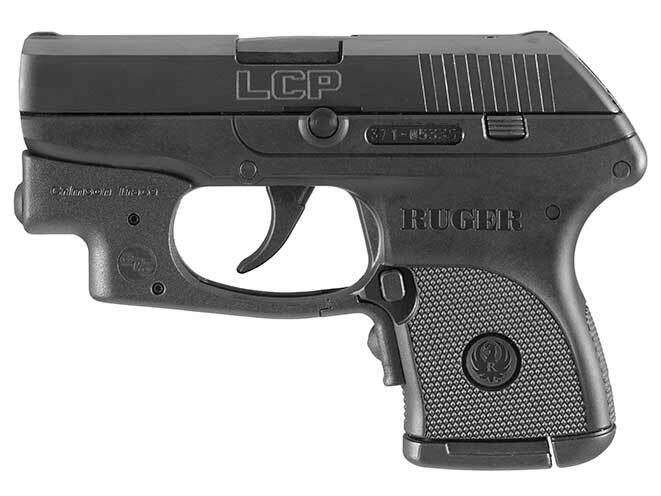 Ruger’s LCP was first introduced in 2008 as a lightweight, hammer-fired, double-action-only semi-automatic pocket pistol chambered in the popular .380 ACP with a 6+1 capacity. Designed for snag-free pocket carry, the Ruger LCP features rounded edges throughout and a smooth finish with flush, integral, low-profile sights. 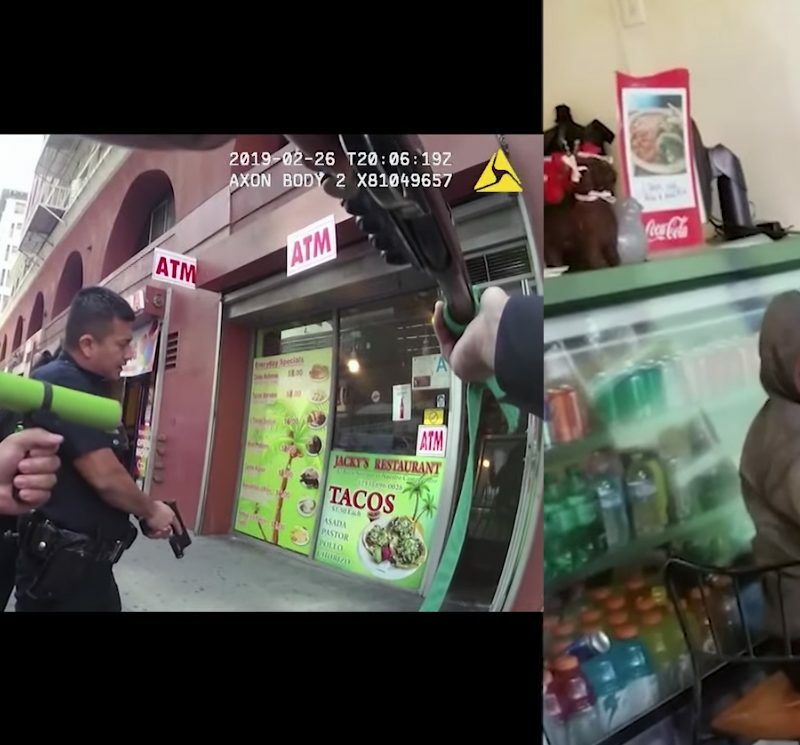 There is a small window on the right side of the slide, at the back of the chamber, to provide visual proof of a whether or not a round is in the chamber. 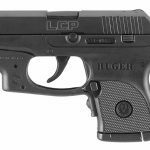 Thanks to innovations like the inclusion of Crimson Trace Laserguards on some variants, as well as enhanced versions like the LCP Custom, this has become one of the most popular pocket pistol platforms ever. For many people, the .380 ACP is barely adequate for self-defense, and they prefer at least a 9mm. 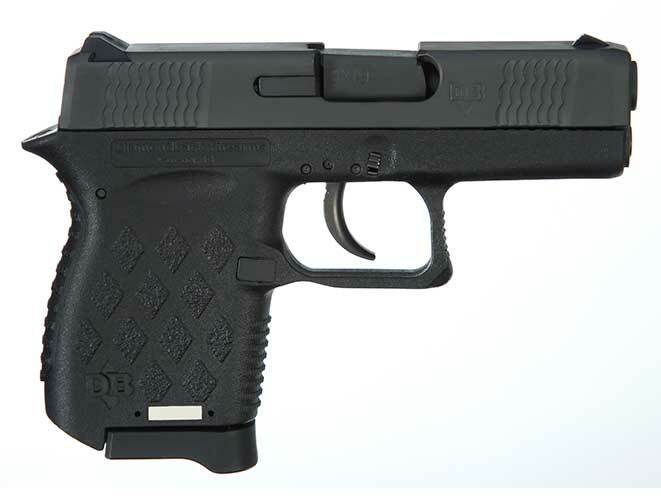 The Diamondback DB9 answers that need as a 9mm, striker-fired, polymer-framed semi-auto with a 6+1 capacity. This gun is a slightly beefed-up version of the firm’s .380 ACP pistol, and I do mean slightly. 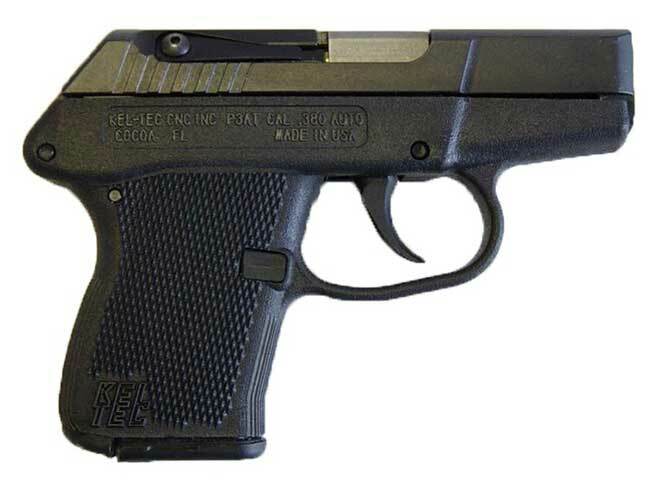 The DB9 is the lightest and thinnest 9mm pistol you are likely to find. 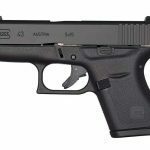 Many swear by Glock pistols thanks to their reliability and ease of use, and the Glock 43 is the smallest 9mm pistol the company has ever made. 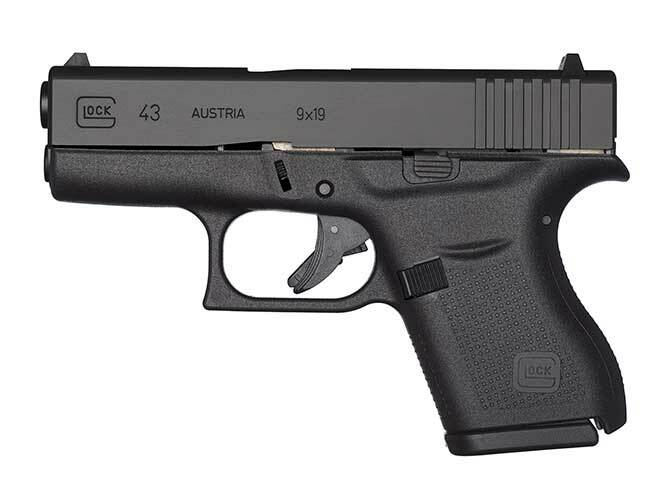 It’s only 1.02 inches wide yet carries 6+1 rounds in its durable polymer frame as well as all of the other Glock hallmarks. 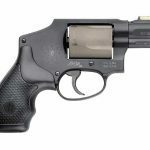 Small-frame, five-shot revolvers are perhaps the most popular concealed-carry revolvers you can get, and they have been for decades. While there are several styles to choose from, those with shrouded hammers make it easier to draw the revolver from concealment. The main advantage for a revolver is that you can fire right through your pocket if need be and not have to worry about a slide failing to cycle. 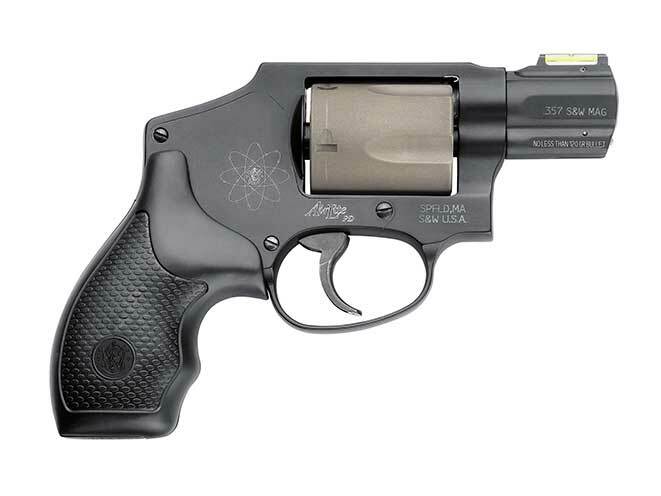 When it comes to power and ease of use, it’s hard to beat Smith & Wesson’s venerable Model 340PD, which uses a unique scandium alloy frame and titanium alloy cylinder to achieve an incredible combination of strength and weight reduction. 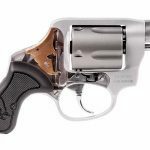 It is currently the lightest revolver you can get that is still capable of handling the hard-hitting .357 Magnum cartridge as well as .38 Special +P ammunition. 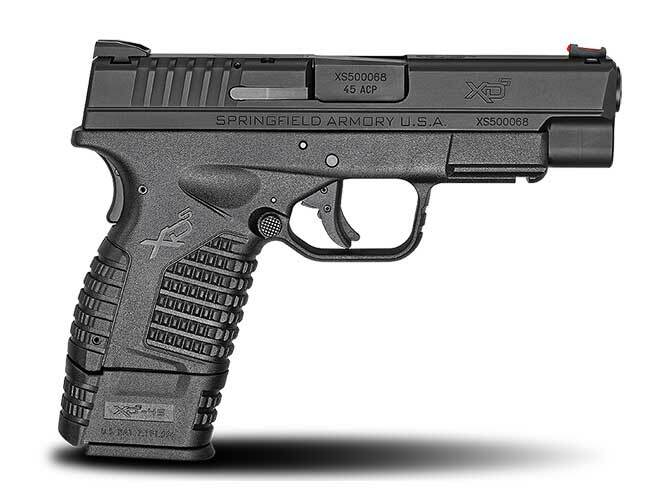 Since its introduction, the XD line from Springfield Armory has offered extremely popular polymer-framed, striker-fired pistols with the added benefit of a grip safety. 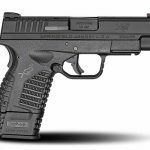 Responding to the needs of concealed carry for a flatter pistol, the company developed the XD-S, a miniscule .45 ACP pocket gun that satisfies the cravings of big bore fans. Both 9mm and .40 S&W versions of the XD-S are also available. The Taurus 85VTA, or “View” because of a clear panel on the right side, is one the lightest .38 Specials on the market. And while it’s no longer in production, it may be the smallest as well, with a 1.41-inch barrel and a tiny grip to prevent printing. 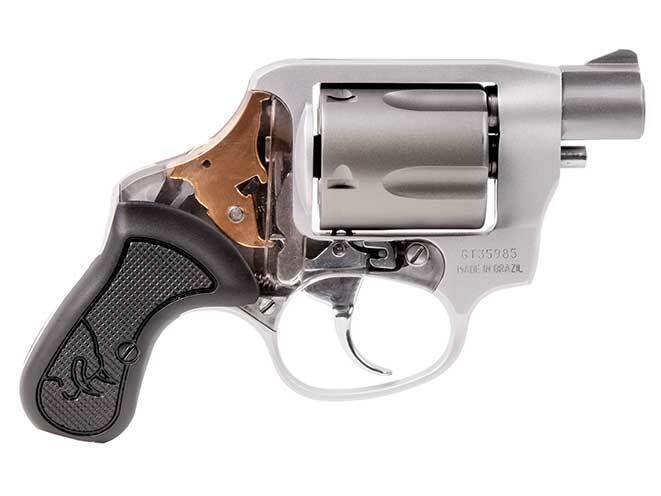 This 9-ounce revolver will fit in any pocket and should prove reliable and comfortable to carry. 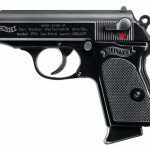 This is the original James Bond pistol that first started production in 1929. 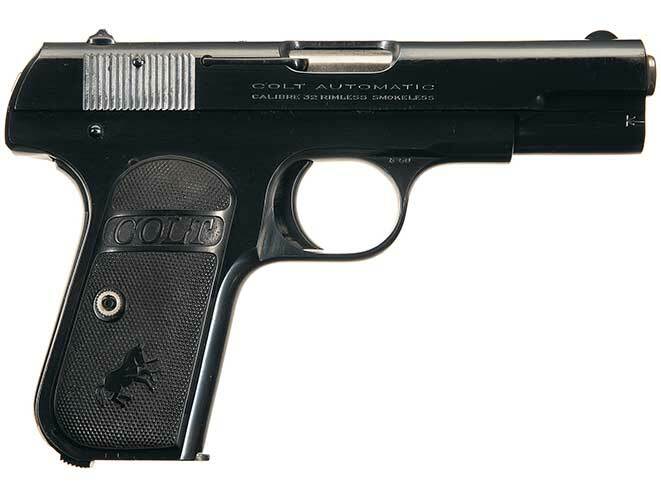 While available in several calibers, the .380 ACP version like Bond’s offers a 6+1 or 7+1 capacity. 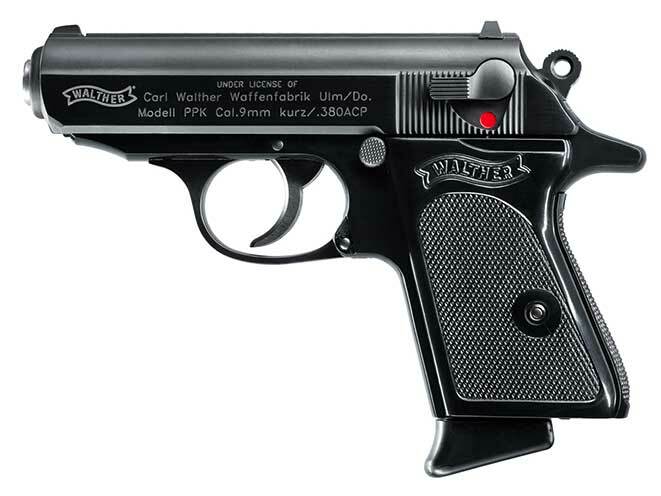 The PPK is very traditional by today’s standards with its double-action/single-action, hammer-fired design and a thumb safety, but its small size and thin dimensions make it ideal for concealed carry, and its fixed barrel makes it very accurate. It is a testament to this pistol’s tried and tested reputation that it is still in current production. Contrary to what many think, concealed carry is not a new phenomenon, and there has traditionally been steady demand for small and discreet concealed carry guns for self-defense. 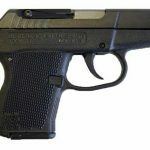 However, it is beyond debate that the interest in and market for small, concealable and effective handguns has never been greater than it is today. It is an unenviable task to try and identify the best small handguns of all time, and in this attempt I have stuck with a few caveats. Suitable concealed carry guns must be sufficiently powerful to reasonably stop an assailant, so I considered nothing less than the .38 Special or .380 ACP. Being able to place multiple hits on target is also a concern, and no handgun with less than a five-round capacity has been included. I have also strongly considered quality, reliability, size and accuracy, and still this list will remain far from comprehensive. For more information on the handguns featured in the gallery above, please visit the following sites. This article was published in ‘Handguns Buyer’s Guide’ 2017. For information on how to subscribe, please email subscriptions@outdoorgroupmags.com or call 1-800-284-5668.